Peter Marino’s garden is about as unexpected as you would expect from the celebrity architect, whose name has become synonymous with high-end fashion lines like Chanel and Luis Vuitton. 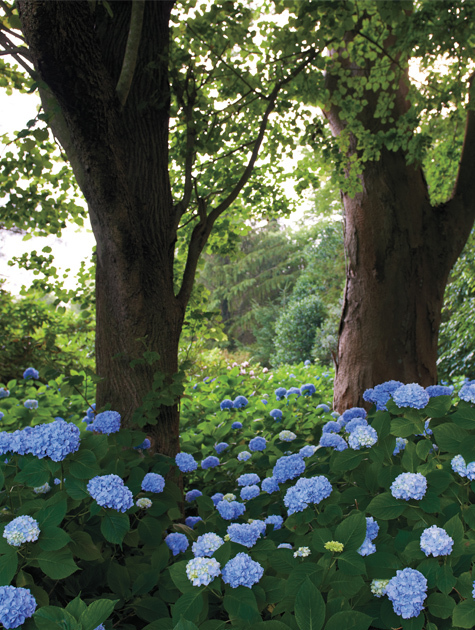 The Garden of Peter Marino offers a look inside the designer’s sprawling 12-acre Hamptons property, where over the course of two decades he has carefully curated a series of gardens that blend formal landscape elements with unexpected details. 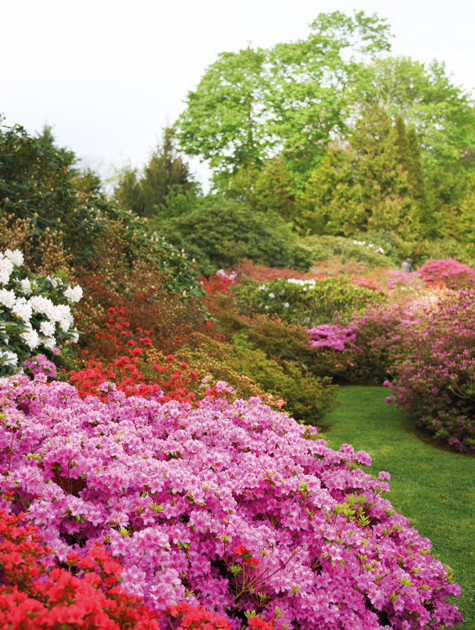 Marino organizes his garden by color. But he also agrees with a friend’s assessment that he’s created a network of outdoor rooms, which are home to his 42-piece collection of Italian artists Claude and Francois-Xavier Lalanne’s surreal, cast-iron sculptures. 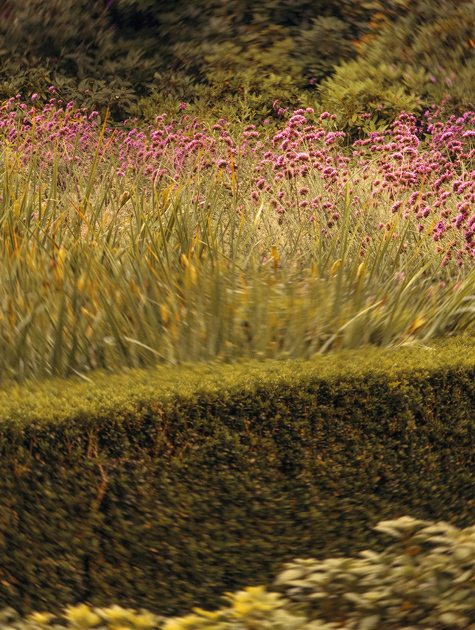 Spread after spread reveal a pristine, manicured garden dotted with art, often placed to interact with the plants. In lieu of a masterplan, these photographs of the sculptures orient the transitions between colors. 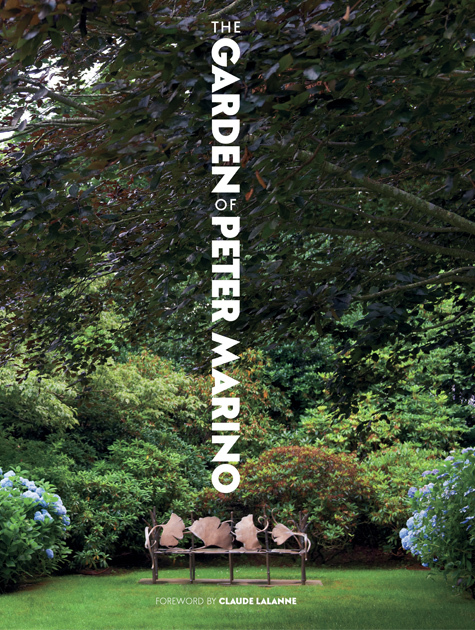 But perhaps equally as interesting as the images is the book’s insight into Marino’s design process, which is both thorough and technical, and random and personal. Sometimes, he goes to great lengths to explain the layers and spacing of planting, where at other times, he states unqualified preferences: “I don’t care for yellow flowers mixed with other colors, so I planted them all together in what I intended to be one big explosion of yellow.” He will detail his plant choices with Latin names and variety, and in the same paragraph use phrases like “mad amounts” to account for the density of hydrangeas. Marino also gets personal. 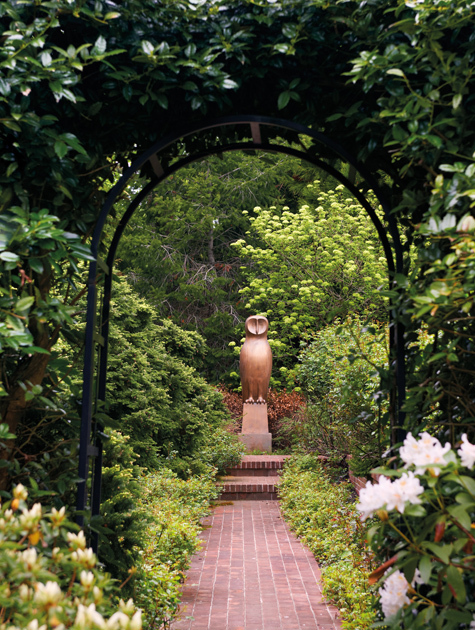 He describes the whimsical forest section of the estate as “Harry Potter-esque,” imagined for his daughter. 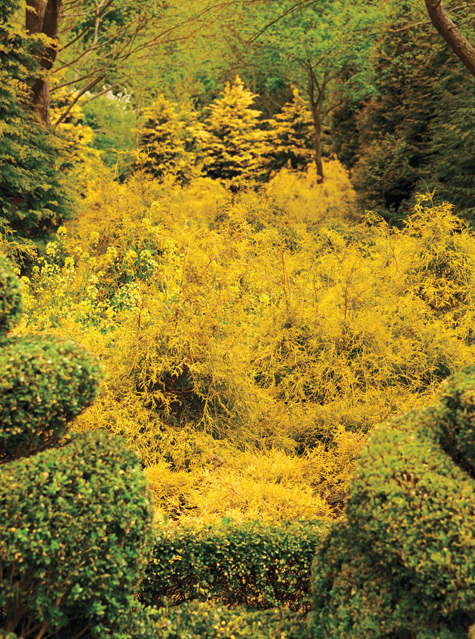 These moments, coupled with the photos, offer an absorbing visual essay of a decades-long pursuit of an architect designing a home for his art in the unpredictable medium of the garden.